It's been a while, hasn't it? I spent the last few weeks in Shanghai and Ningbo. It's been seven years since I was last in China and the skyline has changed dramatically. Suddenly, skyscrapers surround my grandmother's apartments - this quiet little residential neighborhood is now encroached by luxury shopping centers. It amused me to no end the juxtaposition of old and modern. A few hundred feet from where elderly neighbors relax on a handcrafted chairs, sleek Louis Vuitton boutiques and brightly illuminated La Mer counters have sprung up. I was fortunate to visit during while the cherry blossoms bloomed. I spent quite a bit of time visiting botanical gardens and peony pavilions. 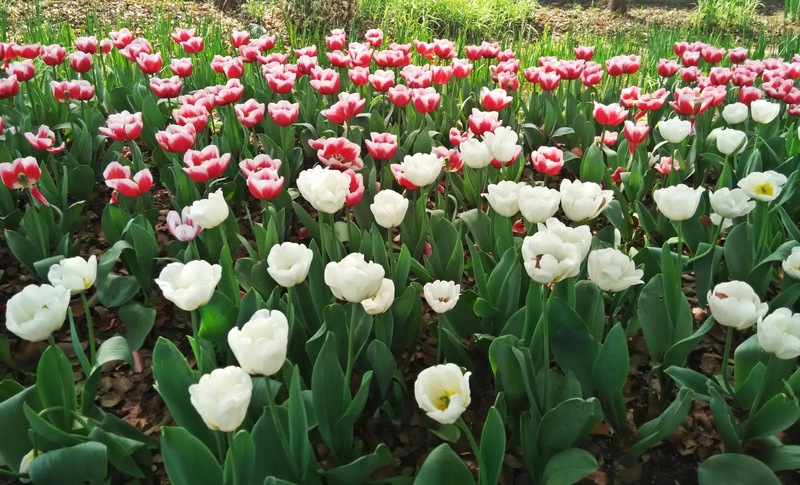 This was my first taste of China in the spring time and the display of flora took my breath away. Literally. The pollen count made it pretty hard to breathe when my allergies went haywire. 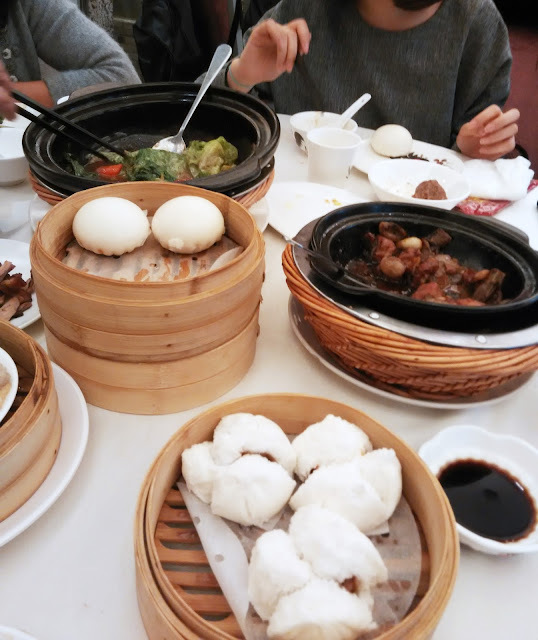 I ate a great deal of things. Managed to gain ten pounds in three weeks! 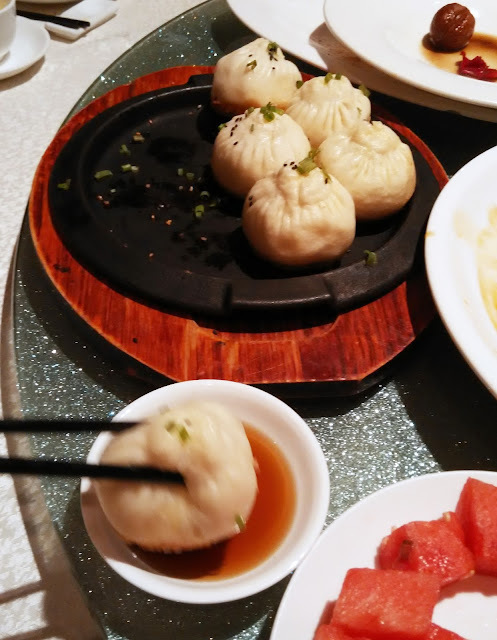 There are so many things to eat, I could spend a lifetime in China and still not taste them all. I think we ended up going out to eat... every single day of those three weeks. 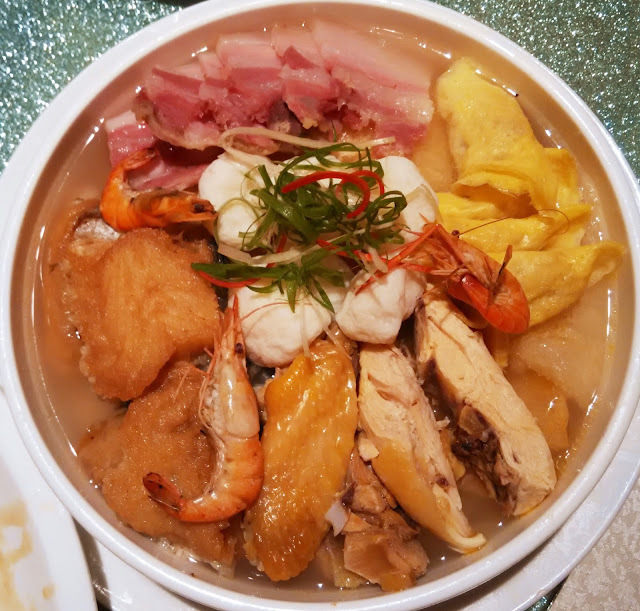 Hot pot is one of favorite meals, and my aunt remembered! She made reservations for hot pot the very next day after I landed. I could feast on quail eggs, shiitake and ribeye all day long, I think. 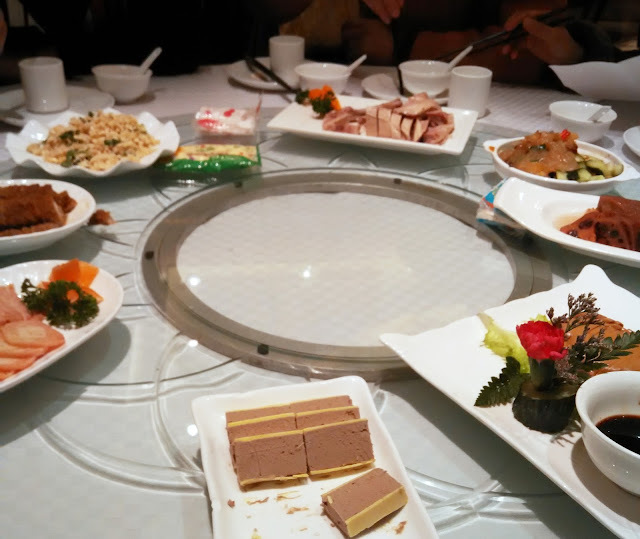 Most restaurants serve food family style on a lazy-susan. For a party of 8-10 people, it's not uncommon to have maybe 7-10 cold plated appetizers followed by 10-15 hot dishes. Shanghai cuisine is pretty mild compared to other regions of China with an emphasis on fresh, seasonal produce and seafood. 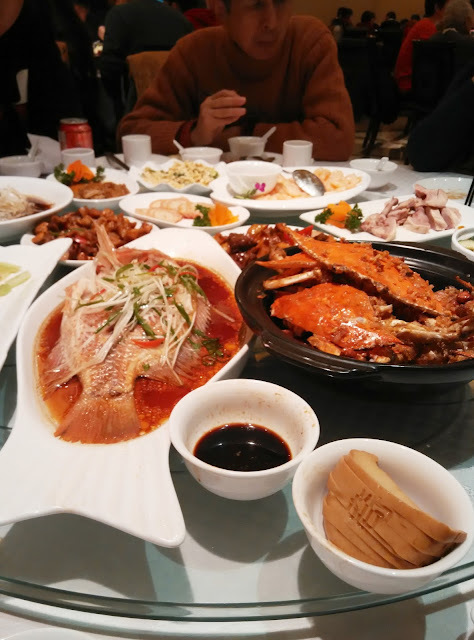 There's usually at least dish of fish, along with prawns or crab. 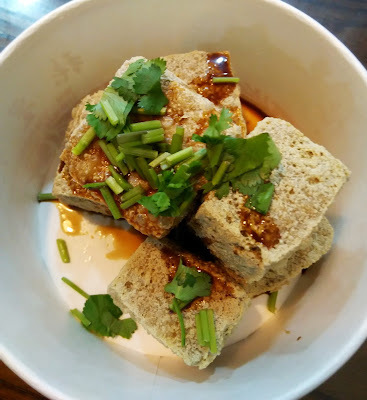 I finally got my stinky tofu fix. I had been craving it for about, well, seven years. It's a snack food that you'll probably find at a street vendor's cart while taking an evening a stroll. The tofu is fermented and then fried. A name such as "stinky tofu" is not particularly appealing, but it's really tasty. The exterior is crisp and the taste.... well, if you're a fan of other pungent foods like bleu cheese or sauerkraut, I think you'd like the savory stinky tofu. Also a big fan of dim sum and one of my favorite restaurants was a Hong Kong based dim sum house that had scrumptious crispy roasted suckling pig, durian fruit pastries and pretty good Chines BBQ pork buns (the big fluffy buns at the bottom). Another dish that stood out to me was this preparation of a fioe gras pâté that was particularly aromatic. People watching also never gets old. This gentleman is 82 years old and as fit as a fiddle. Seriously, you should have seen how unwrinkled his complexion was and how bright his eyes sparkled. 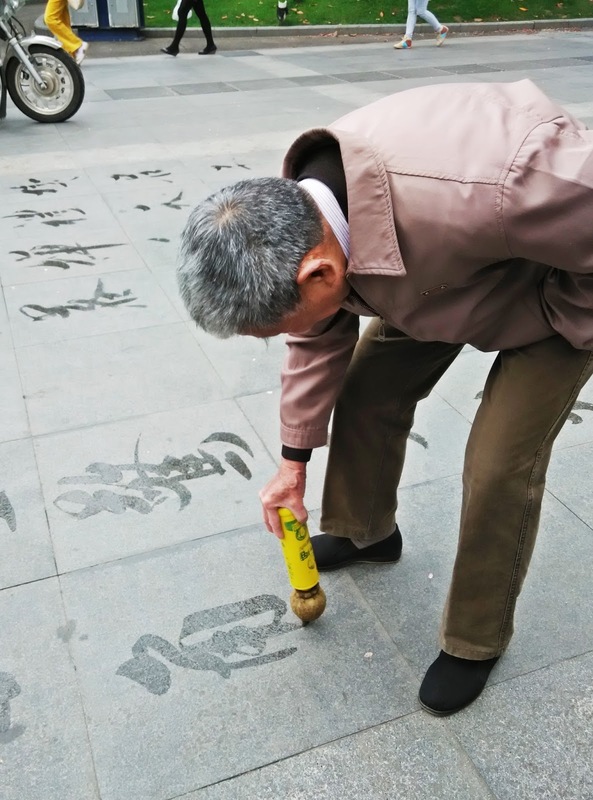 He spends two hours a day practicing calligraphy in the park using water as his ink and the tiles as his paper. While his characters have no permanence, he says that honing his art everyday in this seemingly futile way fills him with a sense of peace and happiness. The density of the population never ceases to astound me. 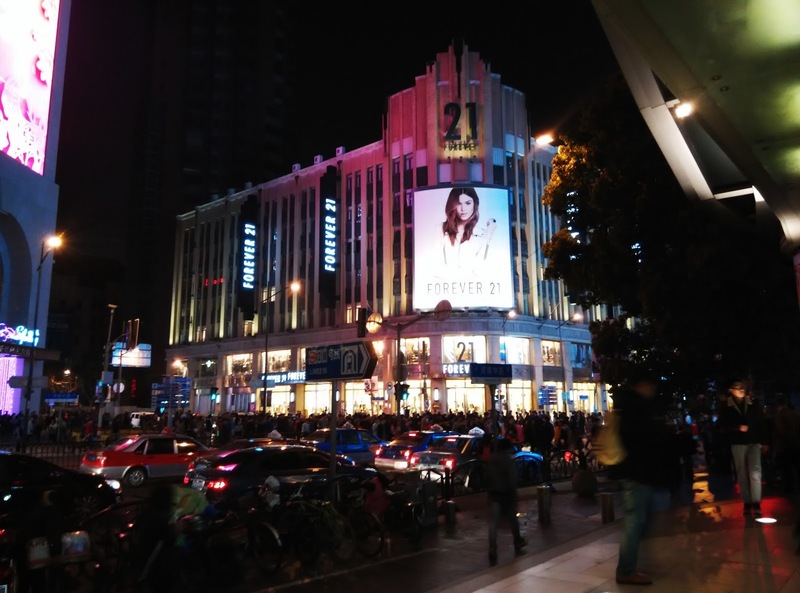 This was on a Saturday evening, near Nanjing Road. Thousands of people in the streets, the flow of bodies like a schools of fish. Sir Elly's at The Peninsula Hotel has a rooftop terrace bar that has a stunning view of the Shanghai Bay, particularly at night. If you're ever there, the Up in The Clouds drink features tasty lychee liqueur. 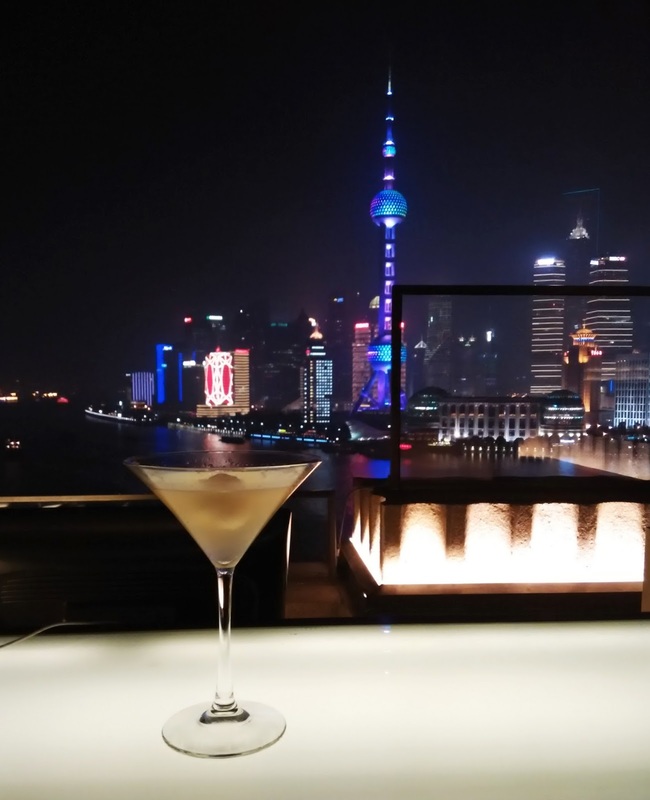 Ah, Shanghai -where you can spend hundreds of yuan on drinks at upscale bars at night but buy tasty piping hot breakfast the next morning for less than a fiver at the street corner. I really enjoyed my time there, other than allergies and pollution taking a toll on my body. I'm spending some time just relaxing and catching up on snuggles with Vesper & The Gang now that I'm home. While I didn't have very much time to shop, I did buy some Korean and Japanese makeup while I was there and I can't wait to show you!